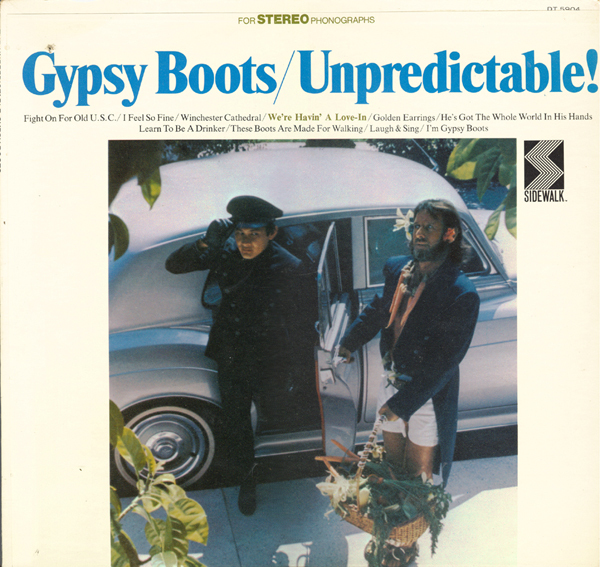 Gypsy Boots, was one of California's original Hippies, long before the word was coined. Pals with Eden Ahbez, etc. Did he record other albums? This gentleman lived in my hometown of Ojai while I was growing up. I just know him as the guy that my friend's Mom called a deadbeat, he is some kind of important guy? I haven't seen him in a few years. H O R R I B L E - sidewalk missed the mark with this one. Why not give a teen band rich on the strip a chance instead? yeah he had a great message but not meant for this format. Yuck.